Joseph Wambia is currently an Executive Director at Citizens Finance, based in Johannesburg, South Africa, where he arranges trade for imports and exports of heavy equipment in Southern Africa. He was Managing Director – Finance (Global Programs & Africa) at AECOM Technology Services Corporation, USA, until January 2016. During his career at AECOM, he was also responsible for managing AECOM’s Key Account relationships with International Financial organizations such as the World Bank, African Development Bank, Global Banks operating in East and Southern Africa, including South Africa, and Public Sector Organizations in Sub-Saharan Africa. 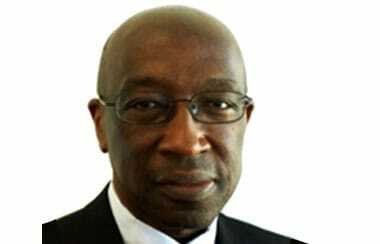 He has extensive relationships with senior executives in the private sector and public sectors throughout Africa South of the Sahara, and the World Bank where he worked for 26 years. Joseph holds a BCom from the University of Nairobi, MSc (Econ) also from the University of Nairobi, and an MBA from Georgetown University in Washington DC. He is a Member of the Institute of Directors of Southern Africa (IoDSA). Joseph is an expert in project finance, trade finance, international development and risk mitigations using market mechanisms such as Catastrophic Risk Insurance, Guarantees by The World Bank Group (IFC, MIGA, IBRD and IDA), and OPIC; and by major US underwriters. At the World Bank, he syndicated billions of dollars of capital for infrastructure investments from public and private sectors. He is also an accomplished internal auditor with multiple qualifications in auditing development outcomes and financial risk exposures. He is a thought leader who has addressed numerous conferences, business oriented TV Shows, and business roundtables on emerging markets – with specific focus on SSA. He has also published in academic journals and contributed chapters to books on development practice. He has also worked as a senior staff and manager at The World Bank – the world’s foremost development finance institution – primarily in East and South Africa, and in Asia. During his career at the World Bank, he worked in Regional Operations, Human Resources, Treasury, Internal Audit Department, Strategic Planning and Budget Department, and Office of the Managing Director, where he was responsible for monitoring and reporting to the World Bank’s Development Committee on risk exposure, capital adequacy, development results and quality of the loan and grants portfolio, and restructuring poorly performing projects. Joseph believes passionately in giving back to society and is very active in philanthropy and public service. He served on the Infrastructure Advisory Panel of OECD and is a member of the Bretton Woods Committee of the World Bank/IMF, which advocates for the World Bank & IMF before the US Congress. In 2005, he co-founded the Dunstan Wai Memorial Charitable Foundation, whose mission is to support the education of young girls in Northern Uganda and South Sudan. He is the sponsor and funder of Linkage Capital Scholars Grant Program (since 2013) which awards stipends to encourage academic excellence among Kenyan postgraduate women students at top universities in the USA. In July 2014, he was appointed by AECOM executive management to manage the company’s sponsorship of President Barack Obama’s flagship program for mentoring African leaders known as Young African Leaders Initiative (YALI) in partnership with the Presidential Precinct in Charlottesville, VA. His public service to Kenya as a trusted adviser to successive Kenyan Ambassadors in the United States and on relationships with the World Bank and IMF was recognized by the Government of Kenya when he received the Head of State’s Commendation (HSC) in December 12th, 2009 from H.E President Mwai Kibaki. Project Finance: Project Development; Preparation; Appraisal; Southern Africa OPIC Deal Originator; Assistance with Funding Negotiations; and Supervision. Corporate Governance: Non-Executive Director (NED) roles. International Finance & Development: Thorough review of project proposals to donors for funding; and critical review of bid proposals, including rewriting when appropriate. We do not assist firms with winning bids or getting shortlisted. Private Equity and Hedge Funds – designing Limited Partnerships, Sub-Advisor, In-House General Partner, In-House Investment Advisor, Master-Feeder Funds and Private Placement Memoranda. Merchant Banking Syndications – raise capital from SA banks and institutional investors on behalf of clients. General Partner and Chief Investment Officer – Linkage Emerging Markets Capital Partners LP, Rockville, MD. Wambia Capital Fund LP; Linkage Emerging Markets Capital Partners LP; Global Emerging Markets (Geneva and USA); The World Bank Group, Washington DC, USA; Unique Solutions, Banjul, Gambia; New Century Development Corporation, Kigali Rwanda & HK China; Global Environmental Facility (GEF), Washington DC, USA; Consultative Group for International Agricultural Research (CGIAR), Washington DC, USA. ; Kanoria Group (Bombay, India); African Alliance Securities.